How do I know if I need a Naturopath? You don’t have to be chronically sick to visit a Naturopath – sometimes we just feel “out of balance”. 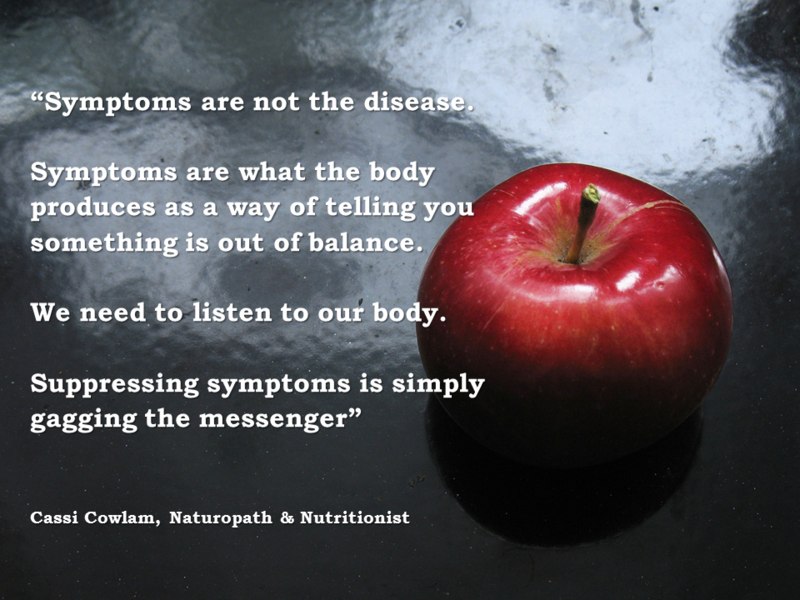 Of course the list is as endless as the symptoms we can get, however it is never too late to start making positive changes to restore imbalance in our health. It can help to have someone guide you the right direction and help you in this process, empowering you to start turning your health around. This is where Cassi can assist.